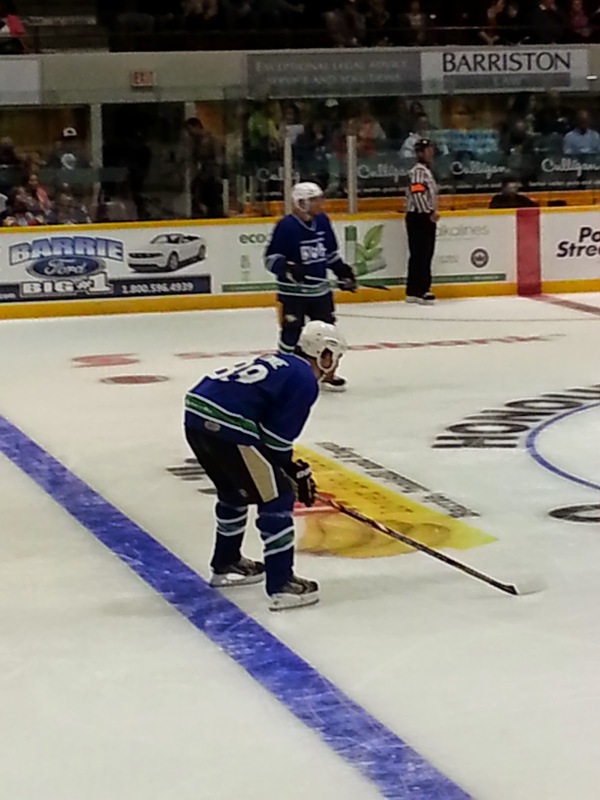 Last night in Barrie, Ontario Steve Downie and James Neal took part in an annual event that raises money for the RVH which is a local hospital. The event, which also featured Steven Stamkos, Aaron Ekblad, Tanner Pearson and many more current and former NHL players topped its highest total raised at one event this year bringing in $251,000. In the 7 years the event has been held the total raised is over $1.4 million dollars. For pictures and more coverage of the event, check out my post I did for my A Very Barrie Colts Blog here. Though this is hardly "breaking news" worthy, we figured it would be fun to point out not only that Downie was rocking the coolest hair cut I have ever seen (no picture I got did it justice, I think the style could only be referred to as a "rat cut"), but that he was wearing Pittsburgh Penguins hockey pants. 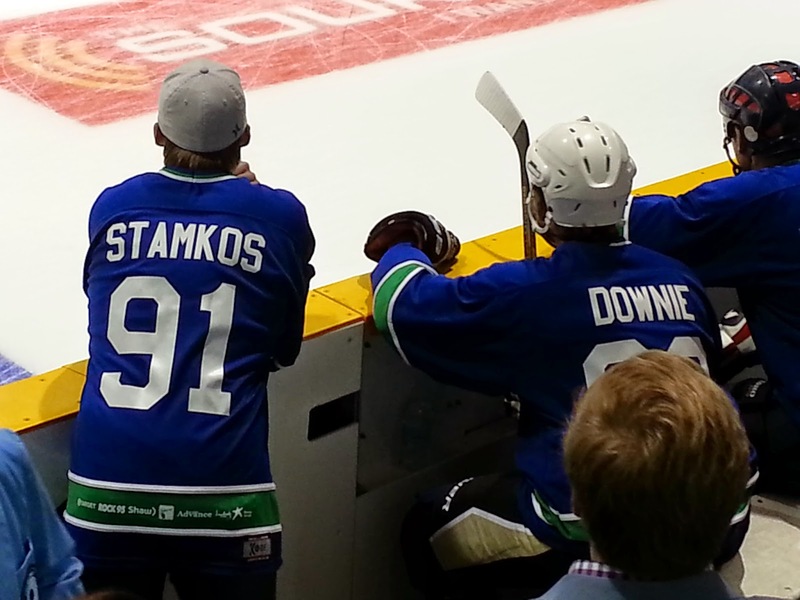 The entire event he was joking around with Stamkos, Neal and the rest of the players. He seemed to be a guy that the other guys enjoyed to be around. Former Penguin, James Neal was also at the event seen in his Nashville gear also was a huge fan favorite at the event. When he was announced onto the ice he (maybe after Colts Captain and Panthers first overall pick Aaron Ekblad) got the biggest "pop" and there were a group of young Pens fans in attendance screaming "We miss you in Pittsburgh, Real Deal!" One thing worth noting, Neal was asked for a lot of autographs and unlike a lot of the players, he did not shy away from meeting with the fans. 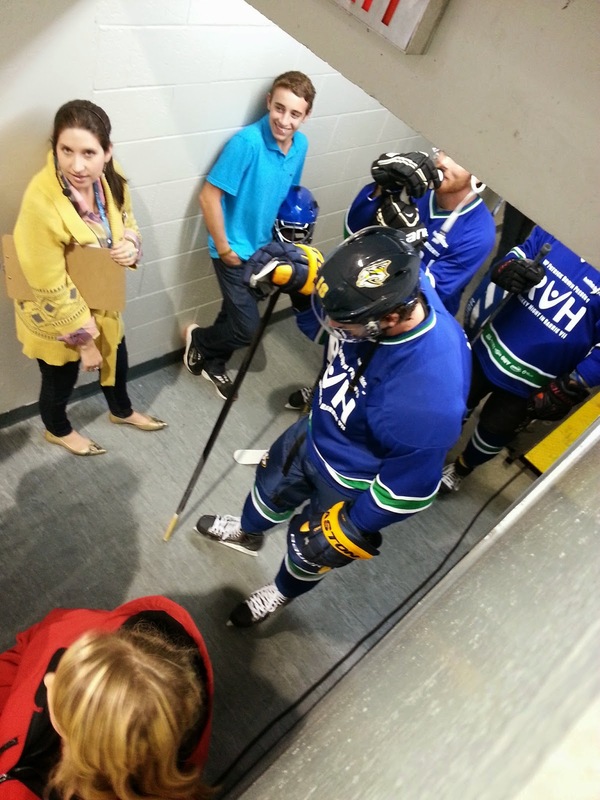 Right before the second period started, the players were being rushed to the ice and when he came out a little boy asked him for an autograph. He quickly told the kid that he couldn't now but promised that he would come back to make sure he got an autograph. There were multiple times later where Neal came back to this spot and was looking for the kid and kept doing it until he finally saw him and was able to give the kid the signature that he wanted. I thought it was a pretty solid move by the former Penguin. You don't always get to hear about when players make little gestures like this that mean the world to younger NHL fans. James was also nice enough to sign my Hockey Night in Barrie puck as well. 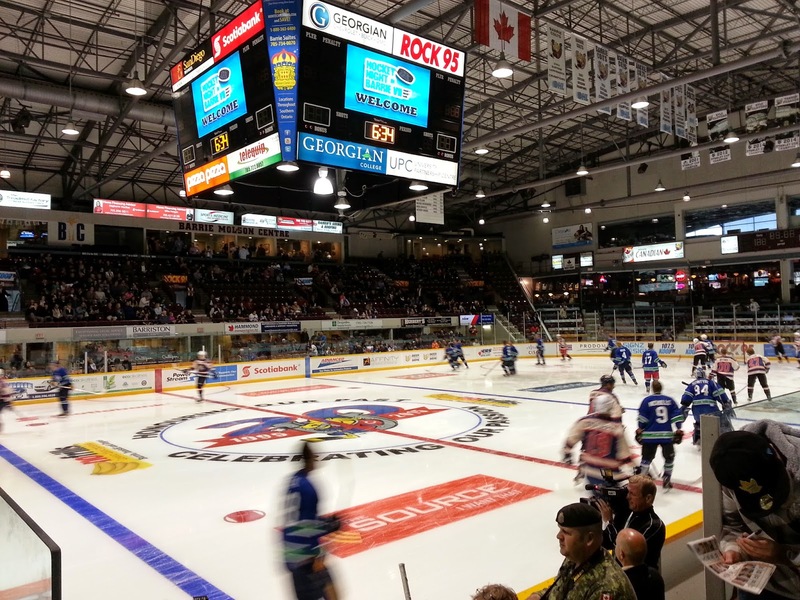 For more info on the event and the Barrie Colts be sure to follow my other blog @VeryBarrieColts and my personal account @ryannoble66 on twitter! 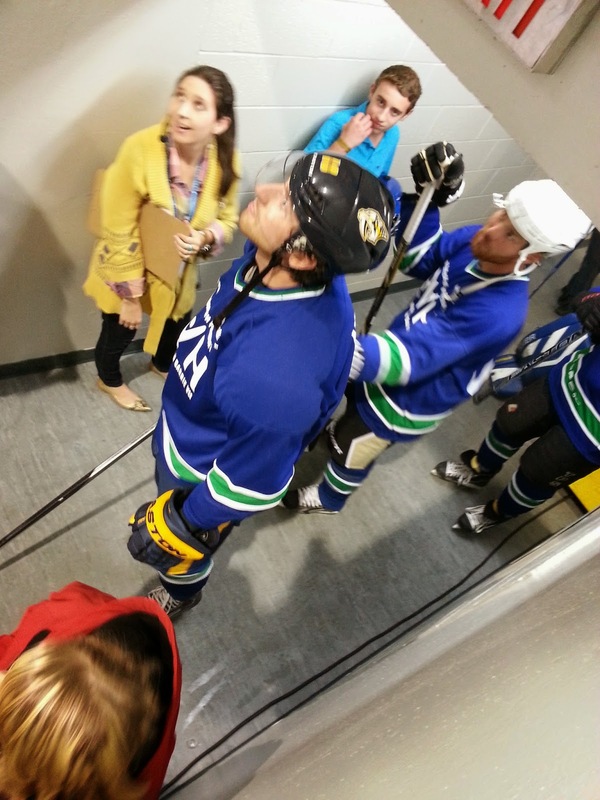 Here are some more pics of Downie and Neal at last nights game!